Ozbolt transports us into a dramatic painted jungle landscape replete with dark, dense foliage. The walls and ceilings are entirely transformed through an ambitious and immersive wall painting created on site. 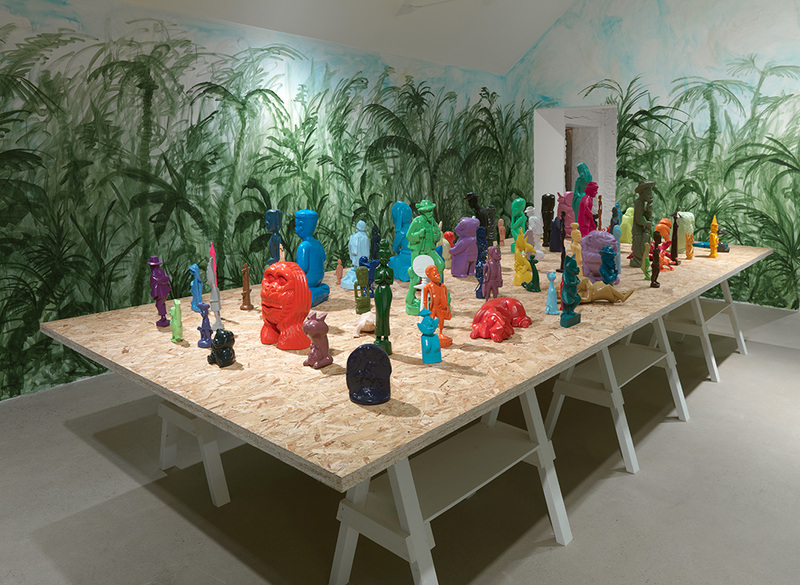 In the center of the room sits a table on which a collection of over 70 cast resin figures stand alert – each one rendered in its own monochromatic color. 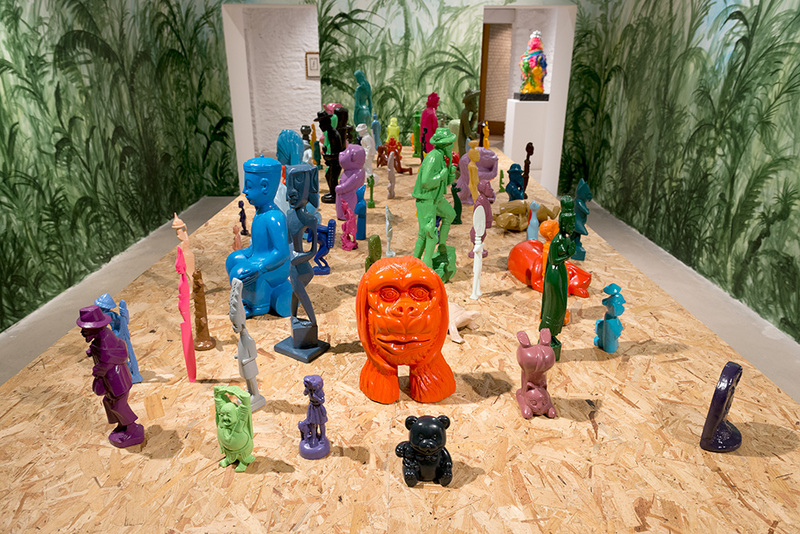 The original figures from which they were cast – some wooden, others plastic – stem from a wide range of contexts, such as German folklore, African tribal art and Oceanic artefacts. The multi-cultural chorus, positioned looking outwards to face the Brave New World painted on the walls, represents a microcosm of the world’s diversity, united in their search for meaning. Djordje Ozbolt studied architecture at the Belgrade University and moved to London in 1991, where he continued his studies in painting at the Royal Academy. 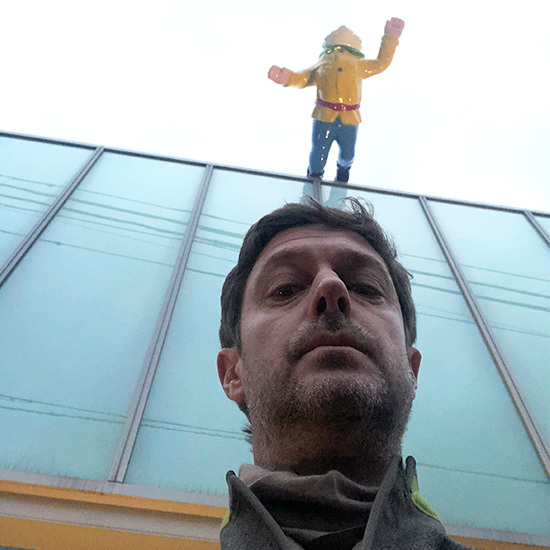 Recent solo exhibitions include Brave New World, Hauser & Wirth Somerset, Bruton (2017); Lost and Found, Gallery Baton, Seoul (2017) The Grand Detour, Holburne Museum, Bath (2016); Brave New World, The Holburne Museum, Bath; More paintings about poets and food, Hauser & Wirth New York (2015), Mens sana in corpore sano, Herald St., London (2014); Who Say Jah No Dread, Hauser & Wirth Zürich (2013); Tell them I said something…, Hauser & Wirth Zürich (2010). 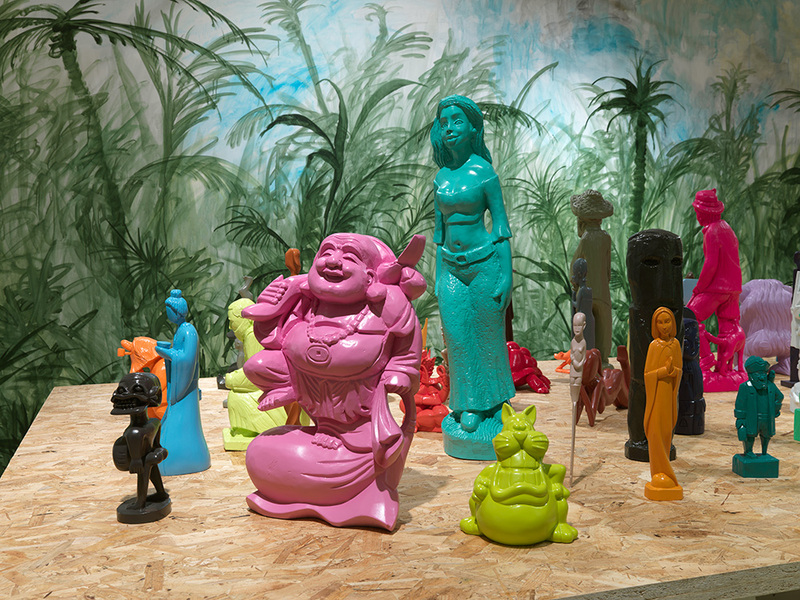 Ozbolt has been featured in numerous group exhibitions including Love: The First of the 7 Virtues, Hudson Valley Center for Contemporary Art, Peekskill NY (2015); Beasts of England, Beasts of Ireland, Visual Carlow, Carlow (2014); The Allure of the Collection, The National Museum of Art, Osaka (2012); Figure Studies, Contemporary Art Museum, St. Louis; the Prague Biennale, Prague (2007); and Tate Triennale, Tate Britain, London (2006). In spring 2017 Hauser & Wirth Publishers published a comprehensive monograph on Ozbolt’s work with a text by Oliver Basciano.